D63. Glorious red, 50% opaque. Nose had closed dark plums. Tasted blind, it could almost be an ’80! Big full, dark fruited yumminess. Though with time in the glass it lessened, slightly, even though still big. What a youngster. Lovely nose - very dark - thick and chewy. Packed with dark plummy fruit. Lots of tannic dryness in the finish. Great Port. glorious, dark, blackish red color; very chewy cherry smell; hints of VA that does get worse with time; nail varnish taste develops more over time; VA affected bottle; very nice texture; good meaty port that sadly changed over time because of VA into a rather unpleasant and bitter fruit juice. Deep red with a black cherry colour. Sweet cherry and sour grapefruit battle on the nose. The palate is stern and imposing; an austere dryness that somehow contains sweet fruit as well as dry tannins. The acidity balances and cleans the palate perfectly. There is lots of fruit on the late palate with a nice fragrance. Soft and gentle, with a harsh edge flashing briefly into view before a big, cherry finish. 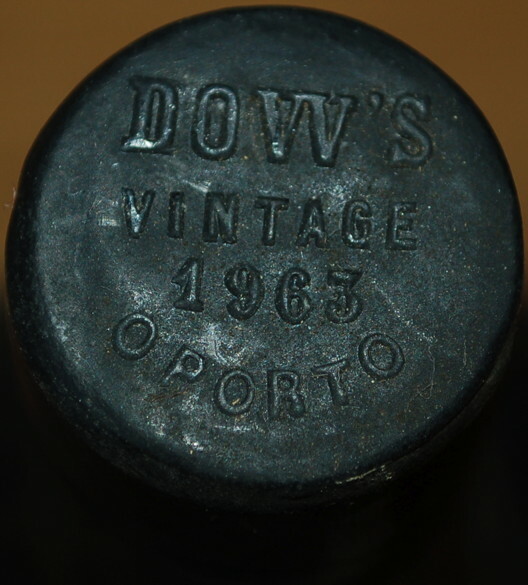 Very good port, with a touch of VA that became more apparent with more time in the glass. 93/100. Drunk 12-Oct-13. Decanted 9½ hours.